Humanim’s Social Innovation Fund directly supports our Social Enterprise Division, dedicated to creating jobs and economic opportunity in some of our most challenged communities. Your contribution to Humanim’s Social Innovation Fund allows us to maximize our impact and continue to operate social impact businesses that elevate our communities and the individuals we serve. Our success is due to our innovative approach to solving some of the City’s most pressing challenges: neighborhood stabilization, economic development and job creation in low-wealth neighborhoods. 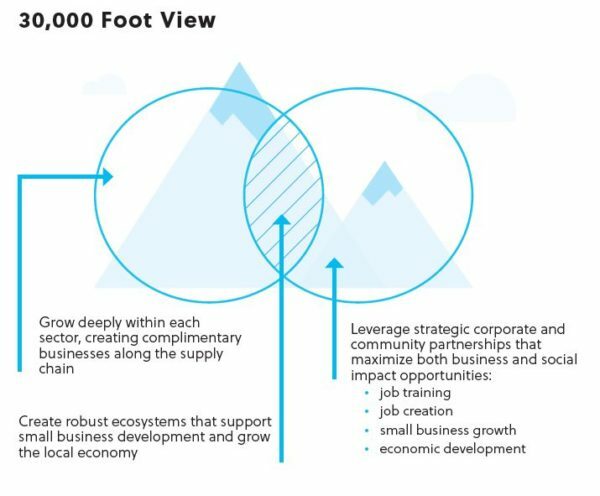 Our business strategy has been to operate within industry clusters and to grow deeply within each sector, maximizing both business and social impact opportunities along the supply chain. 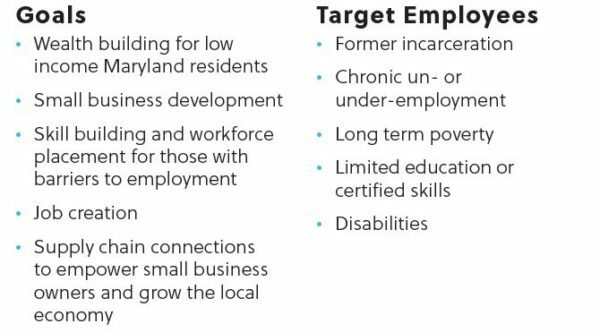 Each of our social impact businesses operate within an ecosystem of corporate, government and community partners that strengthen the local economy, while creating opportunities for small, minority businesses and community members, through workforce training and job creation. This ecosystem approach yields high financial and social returns by leveraging market forces to lift up communities. 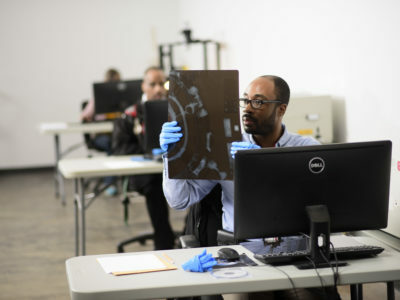 Through a strong network of strategic partnerships spanning public-sector entities, allied community-based organizations, as well as institutions and businesses with a presence in Baltimore City, we are in a unique position to translate community needs to developers, while supporting small business and entrepreneurialism in the communities we serve. Social enterprises produce higher social returns on investment than following the traditional non-profit model. We value partnerships, and are always looking to grow our social enterprise division. If you have an idea that will benefit society through economic development, contact us today.